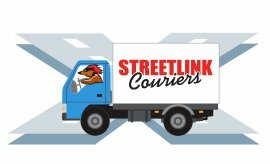 Streetlink Couriers was established in 1989 and since then has provided our customers with a premium courier service. Our policy of giving realistic pick-up and delivery times to our customers results in a smoothly run operation keeping callbacks to a minimum. One of our strong points is the broad range of services we provide, we can deliver anything from documents, to builders materials; e.g. Ladders, scaffolding etc. 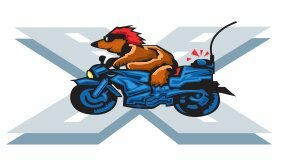 Couriers can be ordered by phone or using our online credit card ordering system. 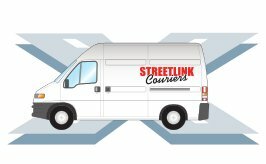 Whether your delivery is from one side of Dublin to the other or from Alaska to Timbuktu, when Streetlink Couriers is involved you can relax. Our combination of efficient office staff and systems, experienced drivers and competitive prices, ensure that your consignment gets to its destination in good condition and in a reasonable timeframe. Tony is a director of Streetlink and has worked in the transport industry for 30 years. He is responsible for the smooth running of the operations department. Tony enjoys listening to music and loves to play guitar. He is also a passionate Dublin GAA supporter.